SAN MARCOS, Guerrero-- I didn't even realize when I snapped this photo that an armed official was on board this Coca-Cola delivery truck. Apparently, many Coca-Cola delivery guys were being assaulted when they drove into some towns in the area. 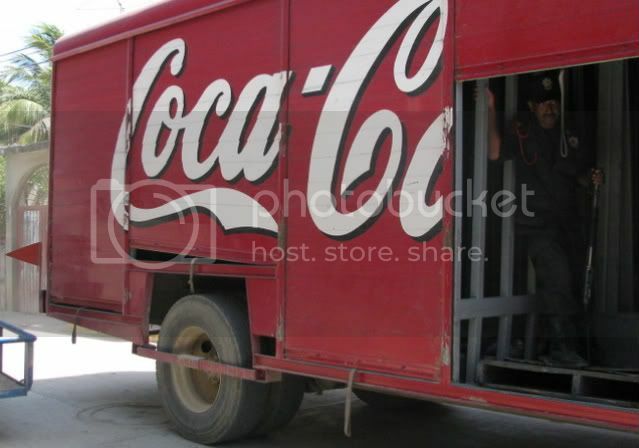 So from now on, private security accompanies drivers on every Coke stop.